Ballast water treatment system (BWTS) manufacturer Envirocleanse said it recently signed an Agreement with CMB/Bocimar to install the patented inTank BWTS aboard the Capesize bulk carrier, Mineral New York. The initial installation will be designed as a pilot study to reflect much of CMB's fleet and will include the treatment of a cargo hold being used in part as a ballast tank. Envirocleanse is currently undergoing both land-based and shipboard testing aboard the USTS Golden Bear with DNV-GL as the independent laboratory. Testing is expected to be completed in November of 2017 and application submitted to both the U.S. Coast Guard and International Maritime Organization (IMO) shortly following. 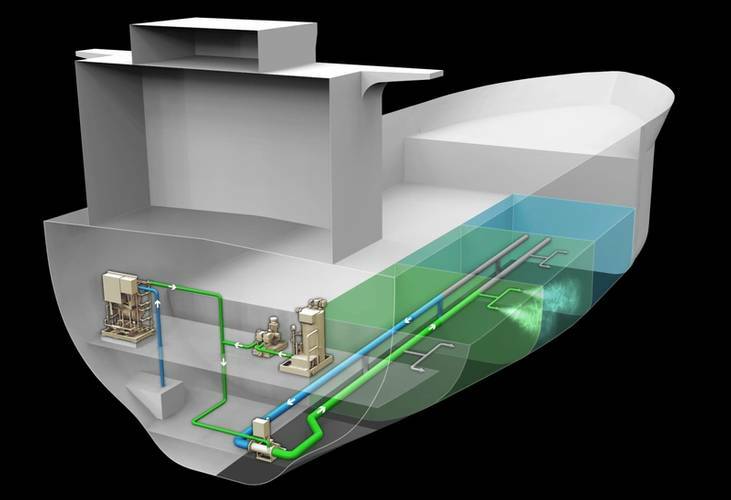 The inTank BWTS uses a unique nozzling system patented by the U.S. Geological Survey for dispersion and mixing in the ballast tanks. Treatment of the tanks is performed in transit, which means there is no disruption to in-port cargo operations. The Envirocleanse inTank BWTS can use either electrically generated hypochlorite or bulk chemical as the means to provide disinfectant. Having these options allows the user flexibility to choose the system which best fits their vessel profile. Matt Hughes, EVP of Sales and Marketing, Envirocleanse, said, "CMB has been a critical part of our development process by allowing us to install the inTank system on their vessel. Envirocleanse is committed to finding solutions to the Regulatory challenges the industry is currently facing, and the data we collect on various ballast tank configurations and geometries will help us to meet the needs of our customers."